It was during Vision2020South in Atlanta, Ga., that the staff at Grace Church, a Grace Brethren church in Orange, Calif. (Mike Sciarra, pastor), caught the vision for a ministry that could impact lives in their own community. As part of a Learning Lab, they visited Communicycle, a bicycle co-op that helps with cycling related needs in low income areas on the northeast side of Metro Atlanta. Right away it was apparent the program could work in Orange, particularly in the barrio area that is home to many individuals who depend on their bicycles for transportation to and from work. “It gave us the opportunity to share the love of Jesus in a practical way,” noted Doug Roller, who is associate pastor at the Orange church. A useful service could be provided while showing people how to do repairs on their own. Beginning in the fall, volunteers from Grace Church have set up “shop” once a month in the parking lot of a Mexican market. They erect a portable tent, set up some bike stands, and lay out gear on a table or the ground. They’ve done everything from fixing flat tires to helping with more extensive repairs, always with an eye to allowing the individual to do their own work. Occasionally, they are able to present someone with a nearly new bicycle at little cost or for work equity, thanks to the generosity of members of the church. Doug recalled one morning when a little boy showed up with a bicycle that was beyond repair. 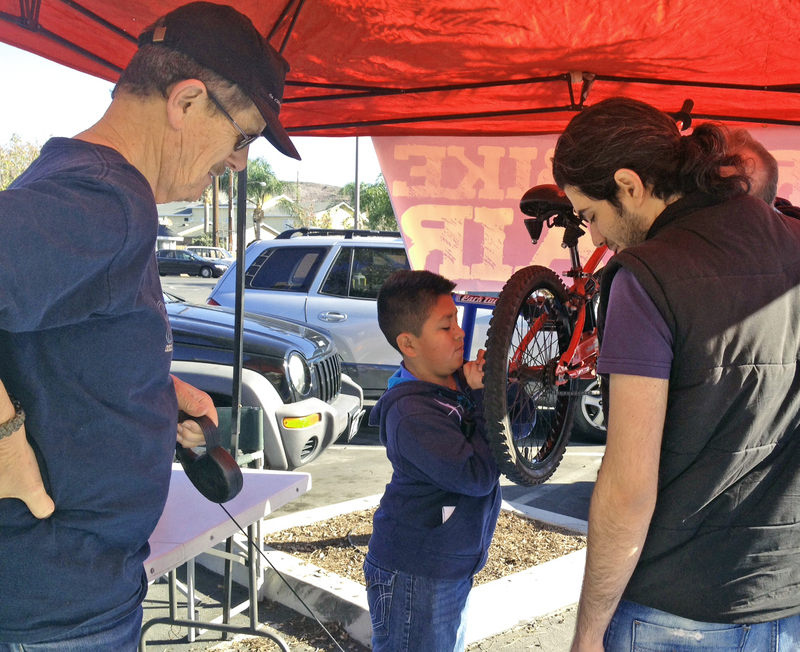 The church is building relationships with local bike shops that donate items or provide significant discounts on the purchase of parts or inner tubes. They are also getting to know the people they meet each Saturday morning as people wait their turn or work with one of the repair team on their bicycle.